To go along with my collar obsession at the moment, I decided to whip out this cute shirt. 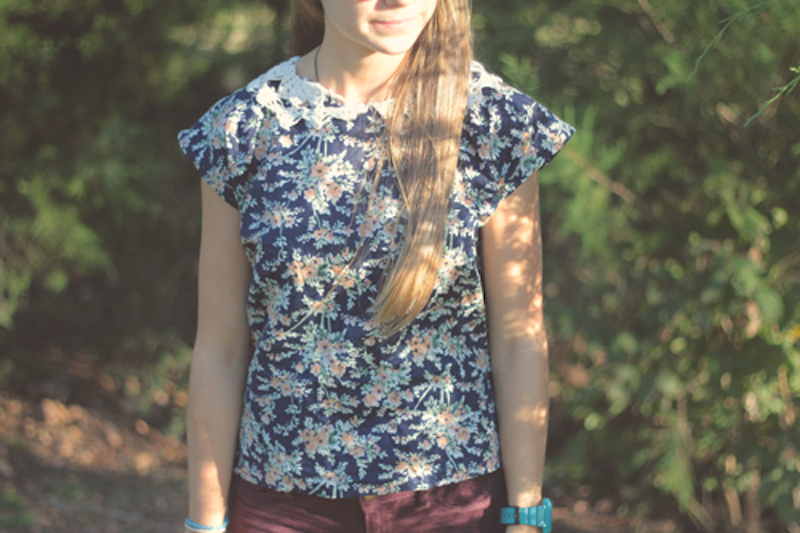 I can not tell you how easy this shirt is to make! So try it for yourself. 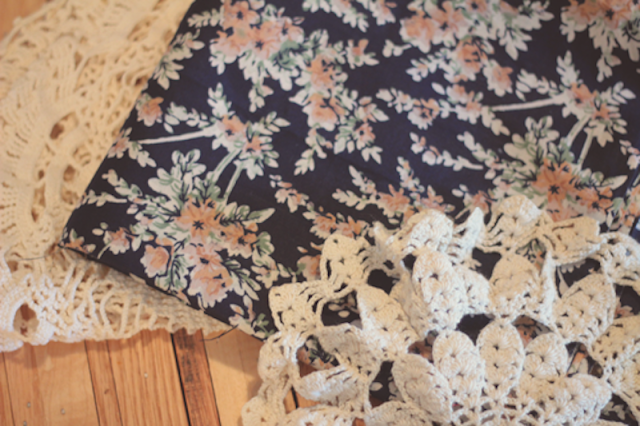 The great thing is it was only $1.25 to make, I got the fabric from wal mart and the doily from my Granna's vintage box of lace. This cheap diy is perfect for a college student's budget. 1. Fold fabric in half, then make into a square. Hold it up to you to make sure it is bigger than your body frame. 2. Fold in half hotdog style and make a slit, on each side of the slit in the middle make a mark and cut in scoop. This will make a hole for your neck, make sure it is big enough for your head to fit through. 3. On the sides of square, sew 3/4 of the way up leaving a hole for your arms. 4. Hem the bottom 5. 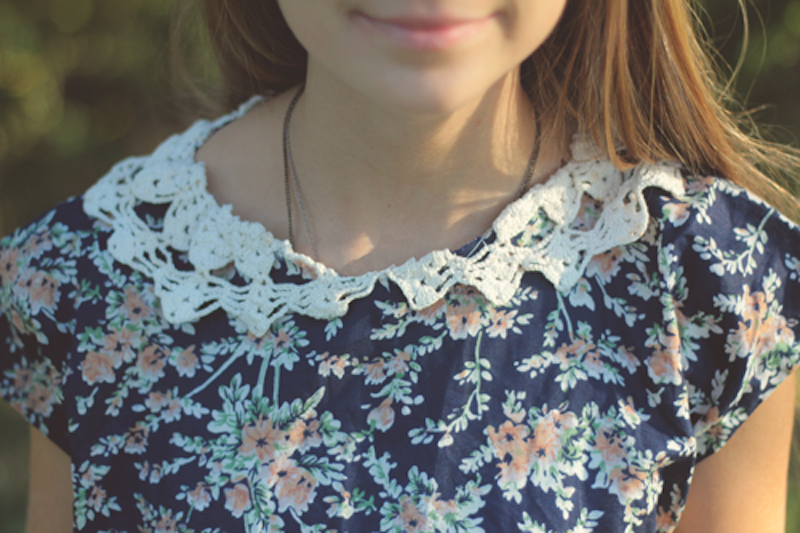 Cut the doily in half and sew onto neck hole. 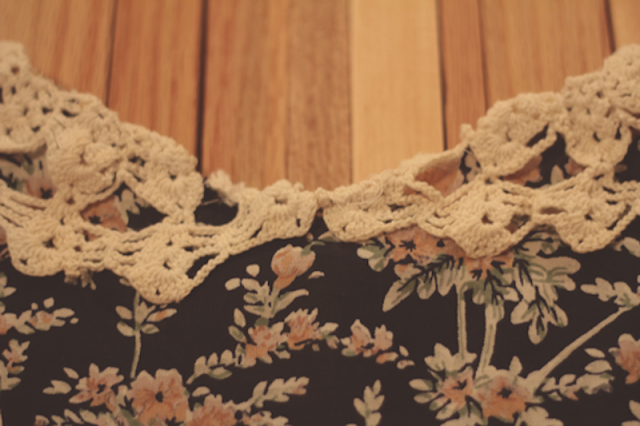 I also put a few stitches on the ends on the doily so it doesn't flap up. 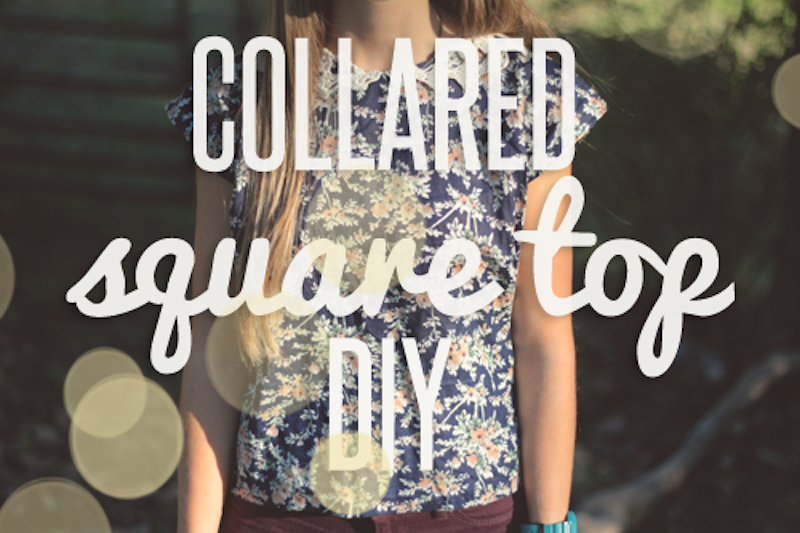 I hope you enjoyed this simple DIY and I want to see your version of the collared square top as well. That top looks fantastic! I'm curbing my spending at the moment, so I think a little thrifty DIY is just what I need. I can't wait to try it! SO cute, i want to do this! very simple and quick, i love it!